If PAD isn't treated, it can lead to problems like tissue death, infection, and amputation . Things that cause PAD can also harm blood vessels in the heart and brain. This means people with PAD are at risk for heart attack and stroke . What are the risk factors for peripheral artery disease?What are the symptoms of peripheral artery disease?How is peripheral artery disease diagnosed?What are the treatments for peripheral artery disease?Are there screening tests for peripheral artery disease?How can I reduce my risk of peripheral artery disease?What questions should I ask my doctor?What is it like to live with peripheral artery disease?Where can I get more information about peripheral artery disease? 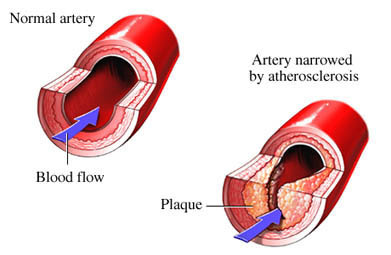 About peripheral artery disease (PAD). American Heart Association website. Available at: http://www.heart.org/HEARTORG/Conditions/More/PeripheralArteryDisease/About-Peripheral-Artery-Disease-PAD%5FUCM%5F301301%5FArticle.jsp. Updated October 31, 2016. Accessed August 29, 2018. Peripheral arterial disease (PAD) of lower extremities. EBSCO DynaMed Plus website. Available at: http://www.dynamed.com/topics/dmp~AN~T114200/Peripheral-arterial-disease-PAD-of-lower-extremities . Updated August 23, 2018. Accessed August 29, 2018. What is peripheral arterial disease? National Heart, Lung, and Blood Institute website. Available at: http://www.nhlbi.nih.gov/health/health-topics/topics/pad. Accessed August 29, 2018.